From the moment the raw material enters the plant to the moment of process completion, efficiency is the key element of any processor’s activity. This is the moment when the clients should seek the equipment and process technology that will increase productivity, along with the quality and safety of the products. Processing and packaging activities in a factory often require the use of conveyors to elevate, align, spread, sort, reorient, or transport the products. RAP Tronic manufactures conveyors of different heights, lengths, or materials, produced in a large variety of configurations and using one or several types of bearing supports (belt, conveyer belt). The company also designs and produces a wide range of conveyers, taking into account the characteristics specific to your industry. RAP Tronic produces custom-made containers or tanks, bunkers, agitators, kneading, and blending machines of different capacities, manufactured from stainless steel and based on the customer’s needs. RAP Tronic delivers automatic carbonation and pre-mix equipment for any types of liquid products, functioning at certain pressures or adjustable pressures, with or without exhauster, and for different production capacities. RAP Tronic provides weighing systems and continuous or serial count dosing systems for different capacities and different basis weight and shapes, depending on the particularities of each product, for liquid or solid constituents, gravimetric batchers, and volumetric batchers for liquids. RAP Tronic implements automatic or semi-automatic machines and equipment for packaging, bagging, shaping, and racking of boxes, for the labelling and the filling of containers. RAP Tronic manufactures continuous and discontinuous cleaning systems for the washing and disinfection of the processing equipment. 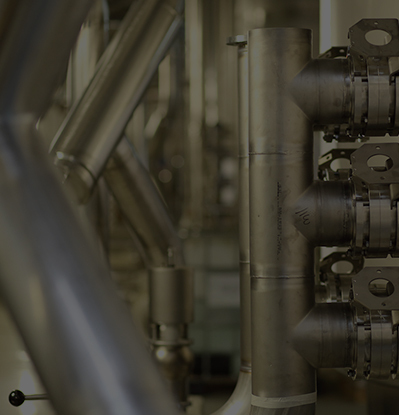 This is carried out by CIP stations equipped with washing units capable of cleaning the tanks or equipment in between the distinct stages or processes. Applied in any industry that processes liquids and products with high viscosity and a high rate of sediment creation, the product recovery system, known as “pigging” consists of a rubber part, or “pig” that cleans and completely recuperates valuable products from the pipe systems. The rubber pig is pressed through the pipe by a propelling agent such as compressed air or water. The pig is introduced into the line via a launch station and, depending on the client’s process, the product recovery sequence is performed through a receiving station.Das Gummiteil wird durch ein Treibmittel wie Druckluft oder Wasser durch das Rohr gedrückt. Es wird über eine Startstation in das Rohr eingeführt und die Produktwiederherstellungssequenz wird abhängig von Prozess des Kunden über eine Empfangsstation durchgeführt. RAP Tronic develops stainless steel piping routes with or without double coating and welded in a protected environment. Belt conveyors are generally used for the continuous transports, in horizontal line or inclined plane, of the granular materials, powder-like materials, or for unitary load. The transport support may be made from PVC, polyurethane, or rubber, with textile insertions, of different thickness and width, depending on the characteristics of the transported materials and the length of the belt. The transporters can be equipped with different types of fences designed to guide the product and maintain the right direction. Roller conveyors are used for the horizontal or inclined conveyance of both the loads discharged and the loads by pieces, at angles of 5-250. The roller conveyors may be equipped with non-driven roles (their movement caused by the inclination) or with driven roles (the movement having a determined velocity). Flight conveyers are used to manipulate discharged loads of any granulation. They cannot be used to convey other materials that, by crumbling, lose their properties, or to convey material with a tendency to stick to the walls of the conveyer’s trough. Modular conveyors are made from PVC, polyurethane, or rubber belt modules with textile insertion or of cast modules fastened with a joint. 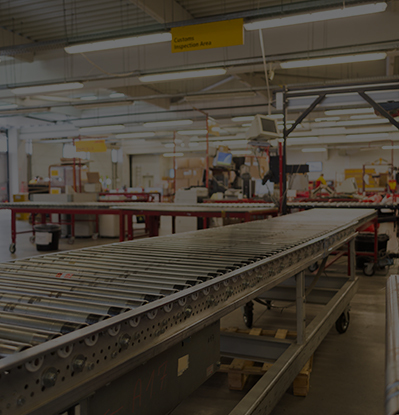 The main characteristic of modular conveyors is that they have a longer life than traditional conveyors. Spiral conveyors are generally used for the continuous conveying of bulk materials, granular, powder-like or piece materials, in horizontal or low-angle inclined plane, based on the principle of the winding worm or a blade worm. These conveyers are used to transport granular materials or piece materials in horizontal plane or low-angle bent plane in the direction of conveyance. Such conveyors are equipped with tubular, rectangular, or trapezoidal cradles. As a conveyor manufacturer, we develop technology not only to move food, pharmaceutical, and other products, but to also allow processors to maintain better functionality and control of various applications and production capacities.